Today’s watch is a wonderful travel companion, a versatile and elegant accessory, and a true classic: The Jaeger-LeCoultre Reverso Duo. 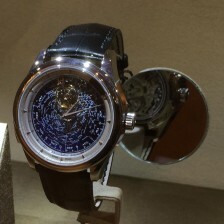 This was my first high-end watch and cemented in me a love for Jaeger-LeCoultre. With so many brands making watches it can be difficult to track down some of the oddballs you run across. Such was the case recently when I stumbled on a lovely tonneau-cased Paul Picot Firshire Chrono for sale at auction. I had never heard of the brand or model, and the description was less than helpful. So I set about learning more.